Each year the Arkansas Henry Awards program recognizes individuals, communities and organizations that have performed above and beyond the call of duty in their contribution to the success of Arkansas’ tourism industry. 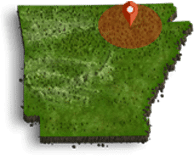 The annual ceremony honoring nominees and winners will be a major highlight of the 45th Annual Arkansas Governor’s Conference on Tourism, to be held in Hot Springs Feb. 24-26, and two Ozark Gateway gems are among the finalists, according to the state’s tourism department. Up for the Bootstrap Award is The Melba theater. 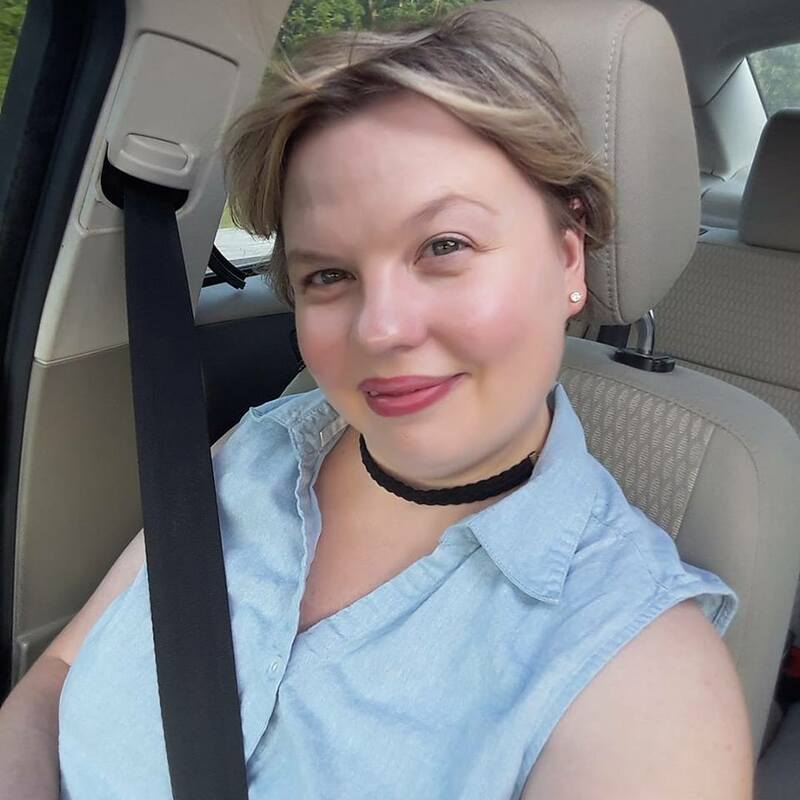 This award presented to a person, community or organization which has achieved significant success “on a shoestring,” having limited methods to work with, either in finances or resources. 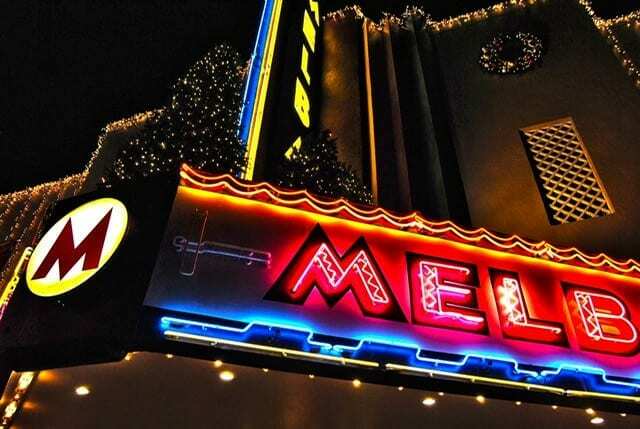 Originally constructed as a mercantile store, The Melba was eventually remodeled in Art deco style and reopened in 1940 to become one of the Arkansas’ first cinemascope theaters. Though the theater closed in the early 1990s, repairs and alterations were made and it reopened in 2000. In 2015, just before the theater had to close its doors again, it was purchase with the goal of renewing this historic treasure. The downtown Main Street business district, which includes the Melba Theater, is included in the National Register of Historic Places. Meanwhile, the Mammoth Spring Old Soldier Reunion is up for the Grand Old Classic OTHER DRESSING UP EVENT Award. This is presented to a festival, other or fair special celebration which has “stood the test of time” and is considered a recognized example to check out. 2018 marked the 125th anniversary of the Old Soldiers Reunion, which is “a week of fun” complete with carnival rides, games, prizes, food, bingo, and more each evening. With free parking and access, the summer event has been sponsored by VFW Post 7831 and is held at the Mammoth Spring State Park. 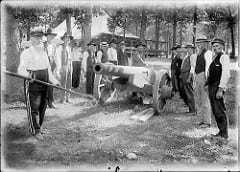 In 1890, the first Reunion of the Blue and Gray was held, attracting Civil War veterans on both sides from northern Arkansas and southern Missouri. It quickly became a popular event, with most participants arriving by team and wagon. Eventually, the Reunion of the Blue and Gray became today’s Old Soldier Reunion. Also up for the award is the Lum & Abner Festival at Mena and the Fordyce on the Cotton Belt Festival. Born in Memphis, Tennessee, Lacy, 34, spent most of her life in the hills of Lawrence County. Today, she lives in Cave City, the home of “World’s Sweetest Watermelons,” in what’s known as the Prince Matlock house. Its former owner helped create what’s known as the Cave Courts where the city’s cave lies above the Crystal River. He fashioned his home out of the same rocks and materials that are found among the cave’s property, and she feels blessed to now be its caretaker for many more years to come.